When you think of sports, you think of two teams of players engaging in some kind of competition, with one eventual winner and loser. The same applies to eSports – electronic sports (a.k.a. video games) – a rapidly growing phenomenon in the world of sports and entertainment. The most popular eSport right now is League of Legends, a multiplayer online battle arena (MOBA) game that pits teams of five against each other in a quest to destroy the enemy base. It sounds simple, but it’s quite the opposite. Riot Games, the creator of League of Legends, founded the North American Collegiate Championship (NACC) in 2014. The tournament features 32 of the best college teams across North America, all vying for $180,000 in scholarship prizes. For the past two years, the best of those 32 colleges has been UBC. Last year at the NACC, UBC’s eSports team beat its local rival Simon Fraser University, before sweeping Texas A&M and Robert Morris University en route to their first NACC championship and $180,000 in scholarships. This year, all eyes were on UBC’s team to see if they could repeat that success. They responded with a perfect 14-0 regular season, followed by wins against SFU and Georgia Tech to advance to their second straight final against RMU. UBC asserted their dominance once again taking another championship, another $180,000 in scholarships, and further proving that they are the best of the best. 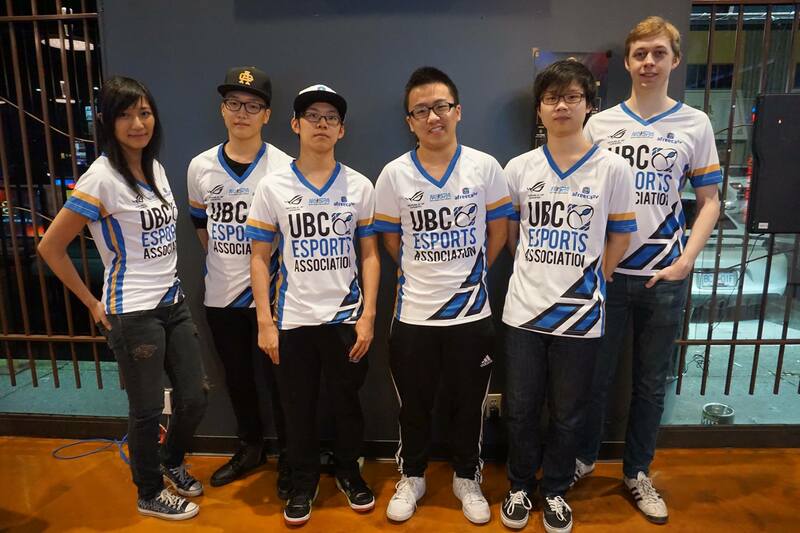 So how did UBC become arguably the top eSports schools in North America? Where they started, was as a group that played mostly for fun. But when the competitive scene began to evolve, so too did the UBC team. What started as a casual club fueled by passion for the game quickly became a top competitive team in North America. Now the team’s members are being rewarded for all their practice with about $30,000 each thanks to their NACC victory. The question asked now for these high-level eSports players is the same as any athlete: what’s next? Top student athletes in traditional sports typically play in the NCAA. A few athletes will go on to the pro level, eventually making a career out of their sport. Everyone else will have to rely on their education to get a job in the real world once their time in college sports runs out. The same can be said for an eSports team, and some of UBC’s players now have to choose whether to try and go pro, or focus on education. One member of the team, Bob Qin, is well on his way of making his dream of going pro a reality. Nineteen-year-old Qin hopes to start his pro career in L.A. playing in the North American Challenger Series (NACS) next season. Much like professional sports leagues, there is money to be made playing in the higher tiers of League of Legends. It’s a bit of a scary thought, moving to a new country and starting your career. Thanks to his experiences with UBC’s team, it’s an adventure Qin feels he’s ready for. The exposure and growth of eSports has come such a long way in such a short time, and all signs point to eSports continuing to expand in the foreseeable future. It’s already starting to pass some major sporting events in view counts. In 2014, the League of Legends Championship Series (LCS) final garnered 27 million viewers, topping Game 7 of the World Series (23.5 million) and the deciding Game 5 of the NBA Finals (18 million). But despite its magnitude, there are still naysayers who don’t take eSports seriously.